We're back! Adelaide's favourite street party... great tunes... delicious food stalls and bars. 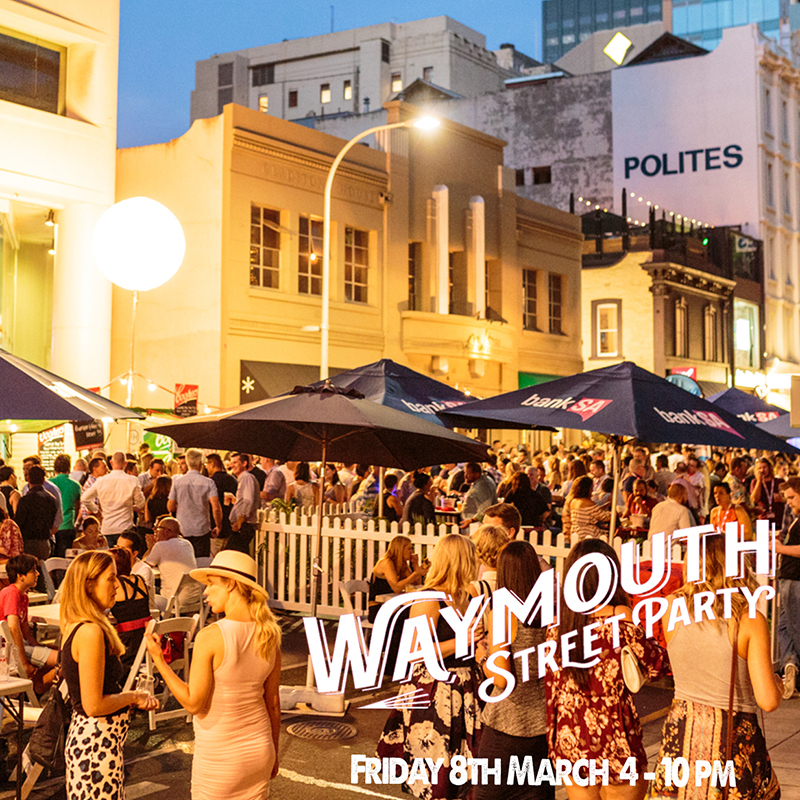 Whether you want to grab a table and settle in with your mates or throw some shapes on the dance floor... let's celebrate summer in Waymouth Street style... For one night only: Food. Wine. Beats. Cocktails. and the large education institutions. of bringing together the institutions and businesses in this vibrant precinct. voice on behalf of our community in shaping the future of our city.